Uber's very bad year just got a lot worse with the departure of two key executives, coming as the ride-hailing company tries to correct course after a string of high-profile and embarrassing incidents. 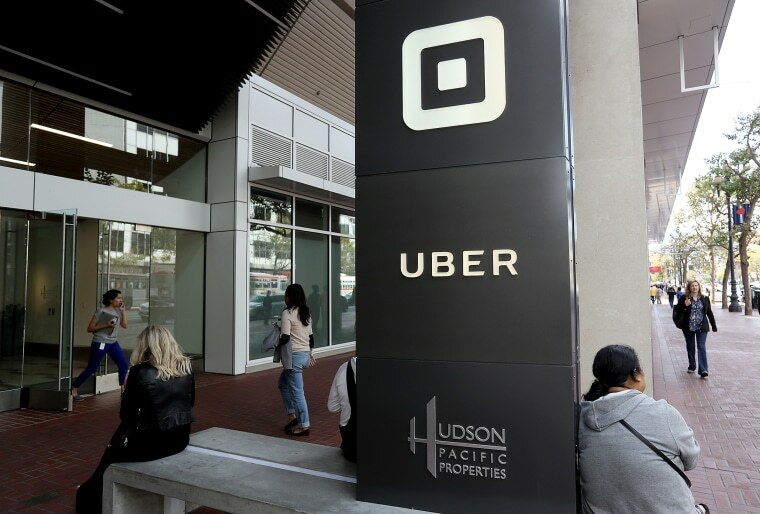 Following the resignation on Sunday of Uber's number two executive, president Jeff Jones, the company announced Monday that it is also losing Brian McClendon, vice president of maps. In a statement issued through an Uber spokesperson, McClendon said he planned to stay on at Uber as an adviser, and hinted at political ambitions in his home state of Kansas. In an email to employees Sunday night, Uber CEO Travis Kalanick said Jones' decision came after it was announced earlier this month that Uber was planning to hire a chief operating officer — a new position — to help address the company's recent problems. "It is unfortunate that this was announced through the press but I thought it was important to send all of you an email before providing comment publicly," Kalanick wrote. Uber has had a choppy start to 2017, from involvement with Trump's business advisory group, Kalanick's showdown with a driver, to allegations of institutional sexual harassment from a senior female engineer. Yet despite the challenges, Uber board member Arianna Huffington told NBC News that Kalanick has the full confidence of Uber's board. "It's unfortunate that sometimes companies, like human beings, have to go through a crisis for major changes to take place. But that's what's happening at Uber," Huffington said. The company is now working with a Silicon Valley recruitment firm to find COO candidates — a position that is typically tasked with providing "adult supervision" to fast-growing Silicon Valley start-ups. While joining a troubled company right now may not seem like a dream job, Huffington said there has been no shortage of applications — including plenty from "successful, brilliant women." "We cannot share the names, but it is really an indication of how excited people are to help lead Uber into the future," she said. "It's a phenomenal company that's changed the way we move around in cities all over the world. And now, with self-driving cars, will help take us into a very big next chapter in our future." Meanwhile, Uber's biggest competitor, Lyft, is thriving. "I think reputation matters," Lyft president and co-founder John Zimmer told NBC News. "We've stood for taking care of people, whether that's internally or externally, and our actions also speak to that and I think people are more and more realising that and tying it to their usage."